Very ergonomic, and no macro keys, which was a plus, because I never use them. 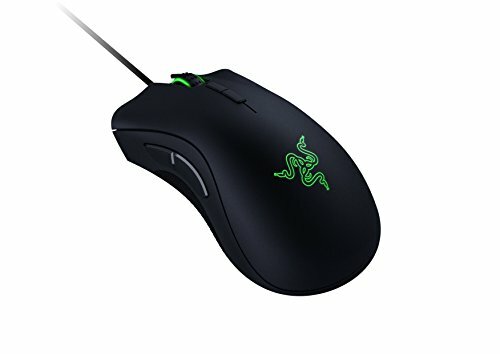 This is a very good mouse, and I would definitely recommend it. from completed build The Return Of The Jedi aka "Yoda Of Dagobah"
This mouse, just wow. It fits my hand like a glove. The rubber pads on the sides make the grip strong and comfortable. It's not heavy and it's not light either. I would have preferred a slightly heavier mouse but it doesn't feel cheap by any means. Ability to change sensitivity on the go--is awesome. Side buttons are very comfortable and you can barely tell they are there if you choose not to use them. LEDs look nice and there a lot of lighting options in Razer Synapse, the software it comes with. The mouse matches perfectly my green and black build. Have to say, I am pretty impressed with Razer so far, they may have gotten a fan for lyfe. I really can't say anything bad about this product; it's been over two weeks of heavy usage and I haven't encountered any issues. 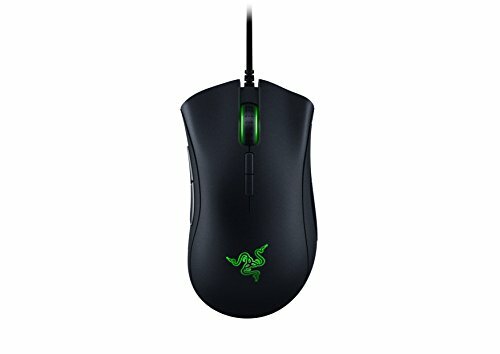 Razer Synapse software doesn't track stats for my mouse and keyboard, as it should, but it could be something I haven't done right in the set-up. I don't care about this feature enough to investigate or take a star off because of that. 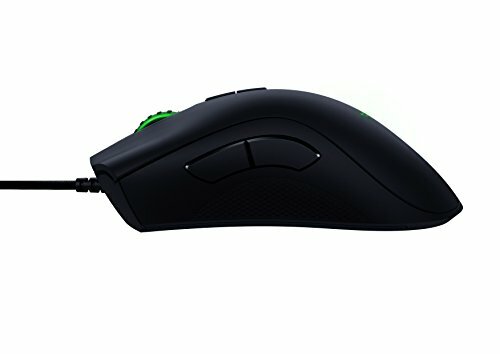 Best mouse I've ever used. 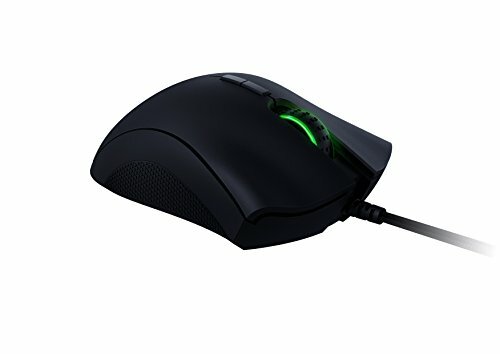 It has RGB lighting, up to 16k DPI, and 7 programmable buttons. It has an ergonomic shape that is very comfortable to use. I also liked the green USB connector; it was a different color then what you normally see. Popular design used by a lot of gamers without many buttons or gimmicks. The scroll wheel on mine turns off after a while if I use it intensively but replugging it seems to fix it. Great sensor, super ergonomic and also nice reg highlights. 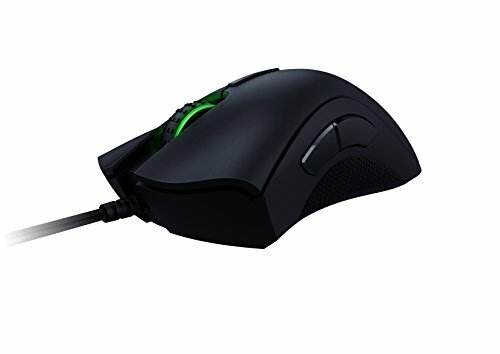 Arguably the best mouse on the market for FPS/Tactical shooters. Pretty great mouse though again, I don't have much to compare to.